Offline Clients Over And Over Again... Like Clockwork. You Won't Have To Kill Yourself, Since All Of The Hard Work Will Be Done For You. Your local business clients will LOVE this and will be more than happy to hand you mouth-watering checks! It's no secret that the world went mobile. 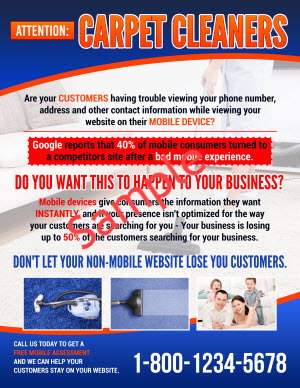 If someone wants to know about a local business they usually pull their phone or tablet out of their pocket... and fire up Google. 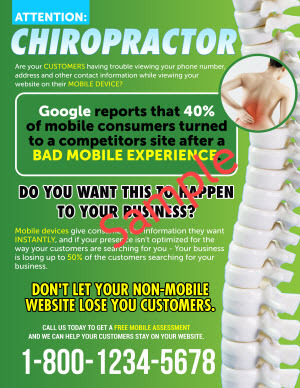 If the website they seek isn't mobile-ready, well... then they just click away as fast as possible. 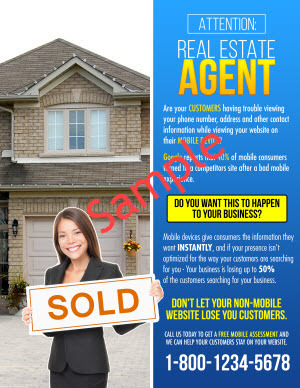 Local business owners KNOW this, yet they don't know how to create a mobile website for their clients. simply don't have the knowledge or time to sort this out. And now that Google's Mobile First Indexing is now finally getting rolled out, NOW is the time to take advantage of it. 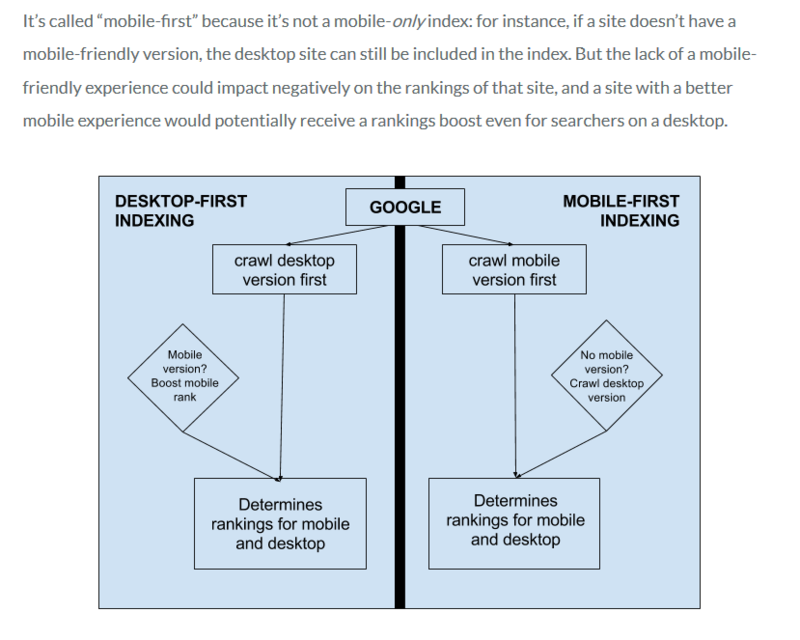 So What IS Google's Mobile First Indexing? 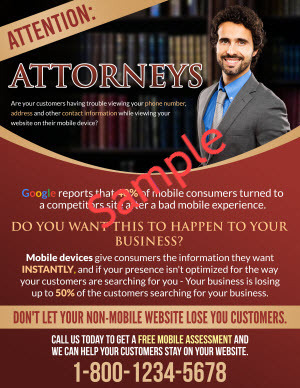 As you can see from the graphic above, local business owners are in danger of losing any rankings they have for their sites if they don't get give their users a great mobile experience. That's Where You Come In... And Where You Can Make LOTS Of Money! 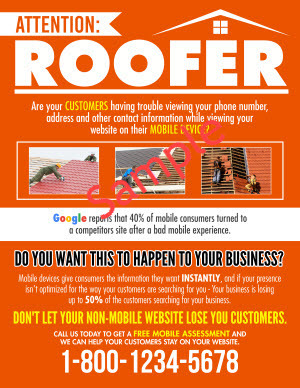 Yeah, because if local business owners don't know how to "go mobile", they'll proactively look for someone who can help them. ... And that someone could be YOU. In fact, you can become a "mobile expert" today even if you have no clue how to go about it. 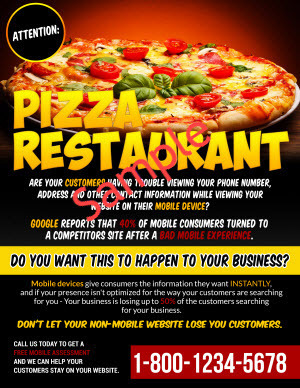 After TONS of hard work and thousands of dollars spent I've created the definitive mobile marketing "weapon" that will allow you to easily offer mobile services to desperate local business owners who will literally be BEGGING you to help them! And of course, you'll get paid nicely for it too! 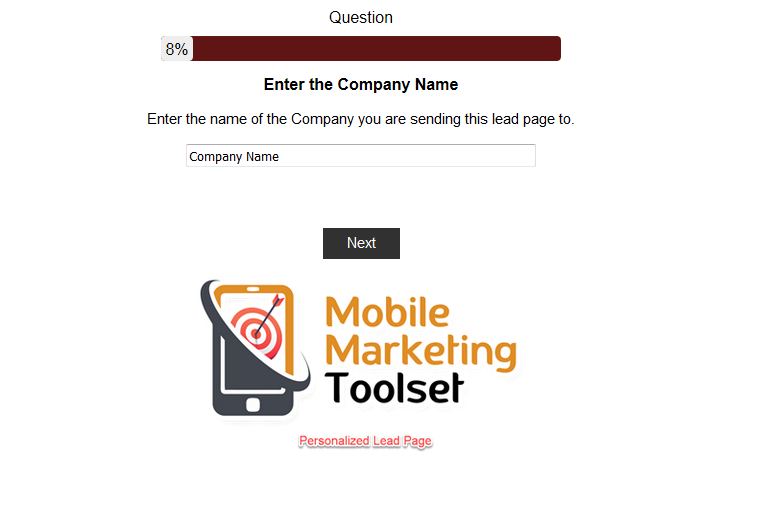 This could very well be the DEFINITIVE mobile marketing toolset for ambitious offline consultants who want to jump on board and offer mobile services to local business owners who NEED a service like this. And the best part is that you don't have to kill yourself creating everything on your own (or spend a small fortune outsourcing the whole thing)... you only have to deploy the ready-to-run tools and you'll be all set to go! This might be the BEST tool in the package because it's SO effective and persuasive that local business owners will be compelled to ring you up and BEG for your help. You only need to customize this ultra-effective lead page, deploy it and offline clients will be clamoring to do business with you! 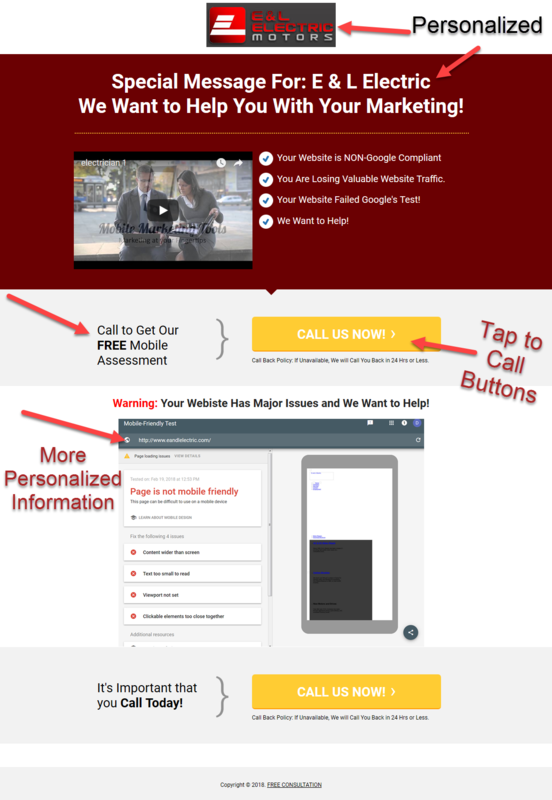 Add another Personal Touch to Your Lead Page! 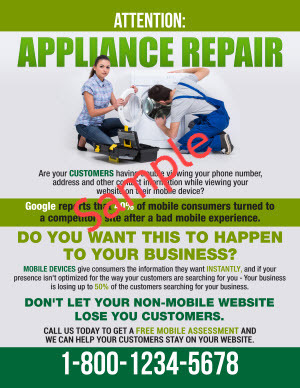 4) Send the link to the business owner via email or flyer and wait for them to call you back. "mobile weapon"- Your offline clients will be simply amazed! Video and mobile are a match made in heaven. That's why I spent thousands of dollars out of my own pocket compiling these 10 incredibly enticing videos which you can offer to your offline clients -- if you combine the power of video + mobile, you'll need little else to be GOLDEN. With this TERRIFIC and valuable piece of software you'll create stunningly beautiful tap to call mobile pages real fast. There's no need to complicate your life messing around with mind-destroying code or anything like that. In fact, all you have to do is point, click and you're ready to rock n' roll! You get three mobile tap to call mobile builders that will create a template with a Static Image, Carousel Slider or Video. You have three options to offer your prospects. Use these as a give-away or foot in the door with local prospects. 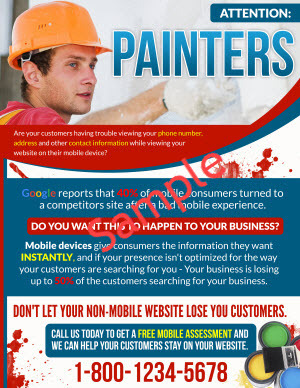 This is a perfect solution for any business that does not have a mobile website. 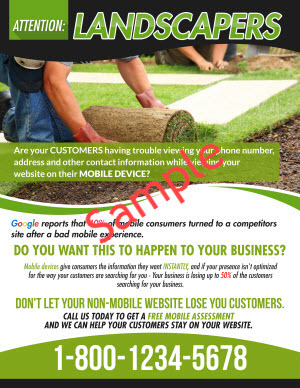 The best types of businesses to use this with are business owners who have mobile customers that need help fast. 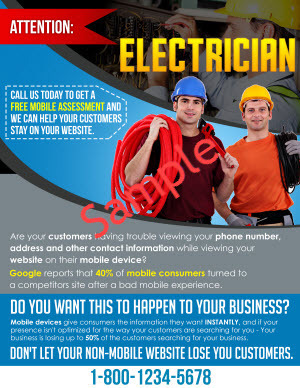 Example, plumbers, taxi, chiropractors, electricans, home contractors, etc. Competitors In The Dust... While You Collect EASY Checks! Exactly - you can start landing more clients TODAY with "Mobile Marketing Toolset". You don't have to complicate your life because everything's right there in the members' area and you don't need to muck around with code, graphics programs or anything like that. 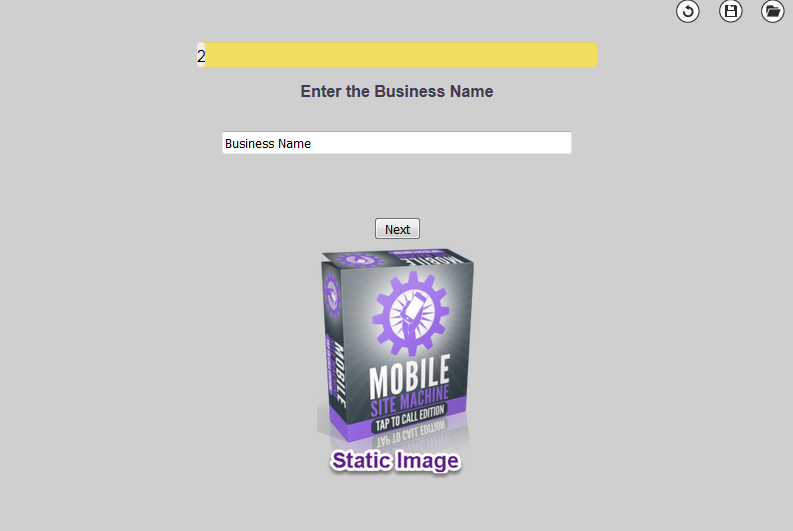 You only have to log in, customize it and you can offer mobile services to eager clients who need your help! 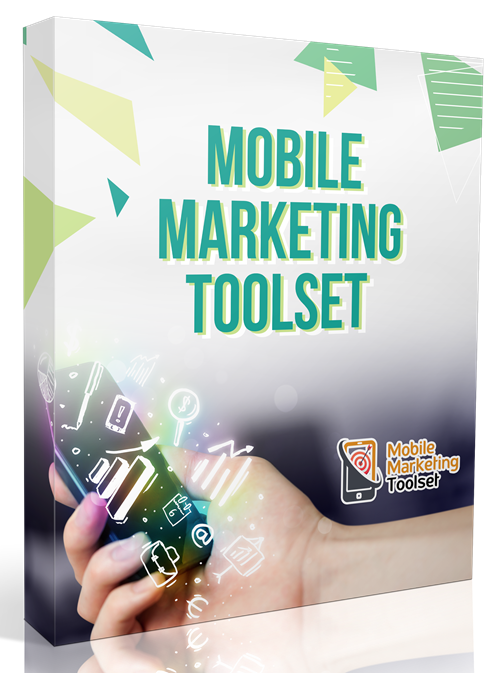 You Can Try "Mobile Marketing Toolset"
Today, Risk-Free... For 30 Days! But in order to show you my complete and utter confidence in "Mobile Marketing Toolset", (the same mobile marketing tool I use in my offline consulting business) I'll let you try it risk-free, for 30 days, or ONE whole month. Yeah, you heard right - you have 30 days to test-drive everything and see whether this is for you or not. And in the unlikely case you're not satisfied, simply ask for a refund and I'll not hesitate to give you your money back -- no ifs, no buts! I'm super-keen to see you on the inside!